The Lazaro wedding gown collection is a luxurious mix of romantic styles that exude timeless elegance and glamour. 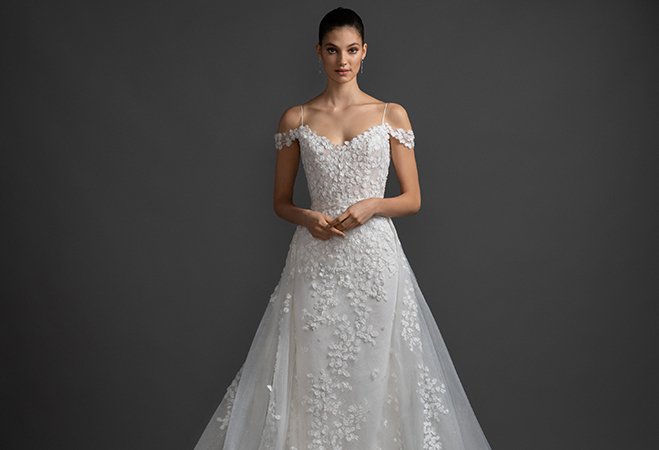 The Tara Keely bridal dress collection is designed by Lazaro Perez and offers feminine, elegant styles for the graceful and sophisticated bride. To book an appointment, click HERE to book online and their bridal consultant will contact you within 48 hours, or for an immediate appointment, please call 424-249-3909 or email info@jlmboutique.com.